(3) The willingness of those in uniform to follow orders. Those in civilian uniforms who take an oath to protect us such as our neighbors and friends can become unrecognizable under extenuating circumstances. Acting within the group and as a pack they can become as dangerous as pack wolves on the Steppes as described in My Antonia by Willa Cather. Uniforms can make brutes. The order and police action affected the rights of over a million people. No one could stop them. Astoundingly, at the time it happened 91% of the people in the bluest of blue states supported it; a year later it was still supported by 81% of the people. This was a search for one man. All the people in the area of Watertown lost all their rights. Truck loads of police poured into the neighborhood; people were rousted out of their houses; five to ten heavily armed men in uniforms intruded into homes conducting warrantless searches, and no one raised a peep. There was no way to stop this destruction of the liberties of thousands of people by people in uniform. How could it be stopped when so many approved? I’ve written how six ICE law people went to a court to arrest one woman who was filing a domestic violence complaint. The use of overwhelming force to bring about order is becoming commonplace in America. These armed agents of our government willingly go about their work following orders from up above. Now the head man of Homeland Security is asking for more police agents. Homeland Security Secretary, former general John Kelly, has asked for 5,000 more border agents and 10,000 new ICE officers. It is like shades of Vietnam where General Westmoreland continually asked for more troops. I’m suggesting that when the order comes down to crush our liberties do not depend on it not being enforced. 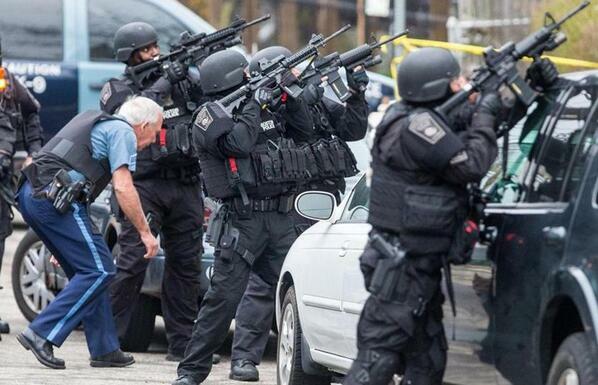 Those in uniform are more than willing to carry out orders to suppress their neighbors. Like a pack, they act and will attack anything that stands in their way. There will be no way to resist a nationwide “shelter in place” order which will freeze all activity to the point the witting men in uniform can carry out the orders. Expect that it will be supported by a great majority of the people. When threatened most Americans seem willing to throw their rights out the window as is shown by the approval of the Boston shelter in place order. I have shown how the threat from terrorist activity in the United States is almost non-existent yet the fear of it goes through the roof. This is a country made for surrendering its rights in the false hope of total safety. That is how fragile our democracy is. D.Trump acting pursuant to precedent can create a “national emergency” which is to continue for the duration of the endless war which will allow him to suppress all opposition and dissent. The uniformed forces are ready and willing to carry out his every order. I suggest we will get a good look at this with the demonizing of the kulaks illegal immigrants and the soon to come widespread movement against them. This will make us recall the days of slavery when families were torn apart and parents separated from their children and siblings from each other. Where in the past many in the country rose up against the fugitive slave laws that returned escaped slaves back to their owners, now opposition will be unlikely because the media will be suppressed and news of the governments oppressive acts will disappear and the willingness of the massive uniformed forces to support it. We will experience Hilter-like rallies. D.Trump last week tweeted: “Maybe the millions of people who voted to MAKE AMERICA GREAT AGAIN should have their own rally. It would be the greatest of them all!” Imagine a president asking for people to rally for him? it is unprecedented and a little inane in the U.S. but not in totalitarian states. How long after D.Trump gains absolute power will he mimic the Mao Zedongs and Pol Pots and demand compulsive rallying in support of him and the re-education camps for those who do not get it? How long before we see our own “Red Guard” or perhaps even the Khmer Rouge Killing Fields? Perhaps that is why A.G. Sessions is again planning to rely on private prisons and why private prison stocks have doubled since D.Trump took over. Where else will those who will need the re-education be housed? It is true. We are one “National Emergency” away from a Putin-like leader. 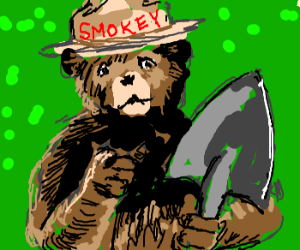 Unlike what Smokey the Bear used to say: “Only you can stop forest fires,” this time things are different. Sadly. There is no way you can stop this from happening. You are on the cusp of seeing a two hundred forty-one year experiment come to an end. Wa-llahi! Many ’60s radicals seem to have wound up as professors! Is that threatening to the “C” students who run the world? Why? You had to be there to understand. It was a war against the status quo. The first part of this article was a tolerable right-wing re-telling of the historical events. The rest was pure fascist screed. You can tell that Burroughs, and, his reviewer, weren’t around for late sixties, and, early seventies. Its easy to discern, they had no analysis of the Dialectic. Everybody had politics back in the day. Black guys, too. Read “Soul on Ice” by Cleaver. Thanks, for mentioning Jack Henry Abbott, lest, we forget, the guy could write. The article’s correct about, at least, one thing, there were a lot of rats hanging around. We’d sit for hours analyzing FOI gained informant reports to triangulate back on the snitches. We looked up to, but, didn’t necessarily trust the old CP guys who’d fought in Spain. Perhaps, the cadres from the VN War era will be thought of in the same fashion by the young revolutionists of today. The Red, and, the Black, (R&B) will be full of surprises, even for me. The same firm offer the same price about the Republican managing to serve a full term. William Hill say their Donald Trump Impeachment Odds market has proved their most popular current betting market regarding the President. It’s 11/8 with Hill’s at time of writing that Trump resigns during his first term. Hill’s have opened betting on whether a wall will be built along the US-Mexico border and are currently offering 5/4. Neither Ladbrokes or William Hill are “Vegas odds makers”. Nor are bets accepted from the United States. Hung up on legality? I’m just telling you what pit-bosses at the Nugget and Barbary Coast have to say. The toughest of Weather Faction militants came out of VVAW. Back in the day, quite a few swinging dicks signed on for the Revolution. I thought about what you said concerning Weather Underground. You’re right! WU needs to open the books, and, straighten out some thoughtful young combat veterans of the conflicts in Iraq and Afghanistan. I liked the cut of those guys who went to Standing Rock. With a little school’in in the Dialectic, they’d have the makings of fine Weathermen. 2. Have you considered the consequences for those who would dare say “NO!” at the demand of multiple someones heavily armed at your front door demanding to come inside to prove that you are not harboring a terrorist? What would the occupants have to hide? Would refusal of entry be sufficient for issuance of a search warrant? What happened when no one came to the door? May I recommend H.R. McMasters’ “Dereliction of Duty” for an analysis of Westmoreland’s troop requirement strategy? Taking a zero-based budgeting approach to the issue at hand, how many should this be? Taking a more simplistic Goldilocks approach, do we have too many, too few, or is the status quo “just right”? What is your learned opinion and your qualifications to provide this opinion? Keep watching events in Mosul. There lies the conflagration that will consume us all. War, like fire, cares not, what it burns. Both the good, and, the bad, go up in smoke. Khalid whistles from the graveyard hoping the ghosts of ’60s radicals and ’17s Russian Revolutionaries will rise and topple America. Matt sees America’s demise because the Democrats lost the last election, bigly. Matt says he’s proved terrorists present little threat, ignoring the 3000 killed and 6000 injured on 9/11. The terrorists’ intent is mass murder of Americans. If they could kill thousands, tens-of-thousands, millions, they would. Ever heard of suitcase nukes? Biologic attacks? Chemical attacks? Remember, on 9-11 the intent was to kill tens-of-thousands in those buildings. The severity of potential harm warrants expensive comprehensive deterrent and prevention measures. Why regulate Nuclear Power Plants, where accidents have killed only 10 Americans since 1961? The answer: Because of the Severity of Harm if they’re not rigidly regulated. The hunt for a Boston Marathon terrorist who blew up children, women and men watching a parade, and may have intended blowing up more —news was they were heading to New York; did they have more bombs, more associates?—of course warranted a full court press. As Tadzio said, even the liberals recognized that. And check out these numbers from a Congressional Hearing way back in December 2015: We face a huge problem with Illegal Immigration in this country and we need more Border Patrol Agents and more ICE agents to enforce our reasonable, fair, and just laws. “There are 929,684 illegal aliens present in this country who have been ordered deported but remain at large in our communities. It’s pretty hard to get a deportation order these days so if the number is that high for those who were ordered deported you can imagine how many potential security threats we don’t even know about. Between the 179,027 criminal aliens ordered deported but remaining at large and the 194,791 convicted criminal aliens who have not yet been issued deportation orders, there are over 375,000 identified criminal aliens that have not been deported. 121 criminal aliens released by ICE between FY2010 and FY2014 committed homicides after their release. Between FY 2009 and FY 2015, the Obama Administration has released 6,151 criminal aliens convicted of a sexual offense. Now with the increased flow of middle easterners crossing our border and the massive number of middle easterners who come here on temporary visas or immigrant visas, does this information make you feel safe? At the same time, Democrats refuse to implement a visa tracking system so we don’t even know all the people that have disappeared into our population. ABC News reported last year that DHS has lost track of 58,000 foreign students who have overstayed their visas, of which 6,000 presented a “heightened concern.” Keep in mind we admit over 150,000 foreign students from the Middle East, 60,000 from Saudi Arabia alone, every year. Finally, every incarceration rips a person from his family. Anyone suggest we not enforce the criminal laws? We’ll see in the next few weeks, who’s doing the whistling. Despite paddling, furiously, Trump is nearing the edge of the falls. Glorious Leader will either go down quicker than Nixon, or, establish a totalitarian police-state (If you’re black, brown, or red, the police state is already here.). It all depends on how Comey plays it. I thought you predicted Trump would be gone by the end of February? Blacks in America have a higher standard of living than blacks in any other country on earth. Latinos in America have a higher standard of living than in any other country on earth. Other “brown people”: immigrants from India, for example, have a higher per capita income than whites in America. Asians have a higher per capita income than whites in America. Correct me if I’m wrong, but people from around the world, especially minorities, are flocking to America! Only in the eyes of the radical left is America not the land of opportunity. I understand Sheriff David Clarke has a book out. The poor in America have a higher standard of living than more than half the people on the planet, and have access to good food, shelter, schools, medical care, jobs and potential, because America is a generous nation. May Day’s fine for me, but, odds makers in Vegas don’t give Glorious Leader that long. They’re thinking a little over a month, until, Trump resigns. It all depends on, when, Comey puts the evidence to him. If a special prosecutor is appointed, one, or, more of the Trumpsovki will roll under pressure. They all look, and, sound, like craven cheese-eaters to me (gub-mint cheese). Reagan’s people had guts, and, stood up for him. I don’t think Glorious Leader’s people are made of the same stuff. Just wait, until, members of the Royal Family get dragged into court. Kushner’s, already, in the soup. We can only hope that the rest of Trump’s adult progeny get dunked. Except for Tiffany. Party-on girl! Khalid: I’ll check back on your forecast in May. Till then, Peace! Can you provide a link to these [mythical] Vegas odds makers? I want a piece of this easy action. In historic totalitarian police-states, like Nazi Germany and Soviet Russia, the measliest cop had the power of life and death over those societies’ richest men. The police should serve, and, protect, not rule. The red, and, the black, are the only defense against the blue, and, the green. Once more, into the streets.Take it to the fascists where they live. All praise to the Weather Underground. All power to the Dialectic! “In historic totalitarian police-states, like Nazi Germany and Soviet Russia, the measliest cop had the power of life and death over those societies’ richest men.” That is so very, very wrong. You have no idea of how a top down society functions. None, whatsoever. In police states the top dogs have nothing to fear from those below, but everything to fear from those above. The “measliest cop” had less autonomy in Berlin or Moscow in order to better serve his master above; he was by our standards servile. While very imperfect the fear of getting caught comes from both directions here. If anything tyrannies have efficient criminal justice systems. Caveat, their systems have enhanced definitions of what is a crime. But for ordinary stuff, Reds and Nazis, were both pretty good. Possibly better that America’s. My personal observation of the Franco regime was that it was superior in most ways as far as nonpolitical offenses were concerned to that which prevailed in Boston at the time. Tyrants do not let underlings run rampant. Ask your self this question: Would you rather be a cop caught on an unauthorized take in Boston or in China today? In Boston the union protects you through a maze of appeals; in China your family opens the mail to a bill for one cartridge. That fatal resolution of corruption by a “measly cop” never happens here. America as a Land of Liberty is over. That is your thesis. 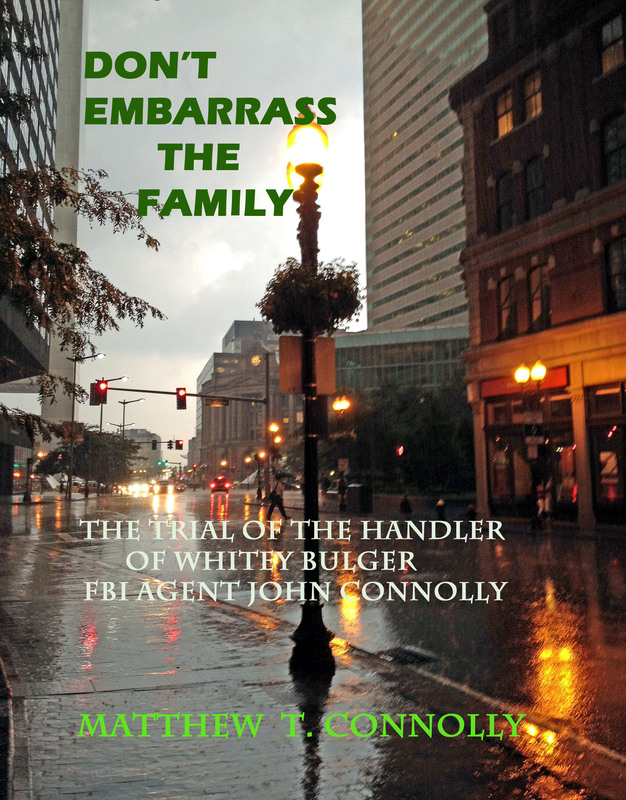 Evidence brought forward is that the people were run roughshod over in the wake of a terrorist attack in Beantown. The perpetrators of the abuse were threefold, national. state and local – Barack Obama, Duval Patrick and Thomas Menino. All three were leftist Democrats. From this we are to deduce that a middle road sort of Republican Donald Trump is a threat to Liberty. Daffy Duck agrees. All others are skeptical.